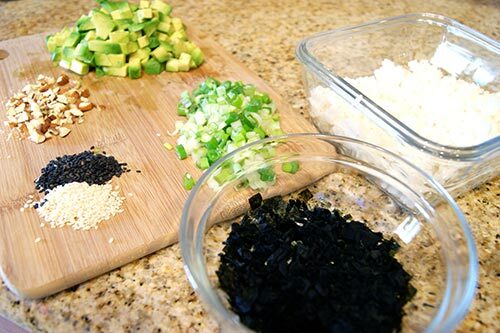 With Sushi being as popular as it is who wouldn’t want an easy way to make some at home? Well I have a recipe for you! 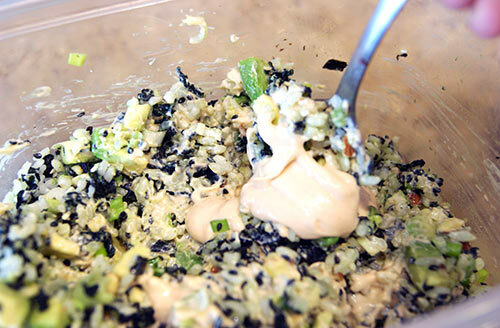 It’s a meatless version but you can always add in other ingredients if you desire. 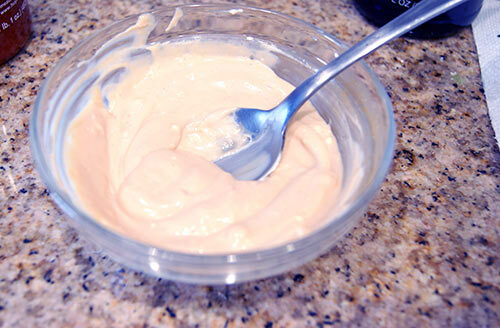 This recipe does contain mayonnaise but if you prefer a vegan friendly version you just need to substitute the mayo. Also can I just say that this recipe is amazing! I probably make it more often than I should but you just can’t pass this one up. I usually make it for lunch but you can make it for dinners, snacks, or even parties! If you don’t feel like making the pretty sushi balls you can also just eat the stuff right out of the bowl. I won’t lie but I do this pretty often too! Call me crazy but I made these when we went camping last year, I received a few strange looks from family when I pulled them out but it was worth it. In a sense I can say I’ve had sushi while camping…I guess it does sound a little odd haha! My daughter likes them too just as long as they don’t turn out too spicy. 2. 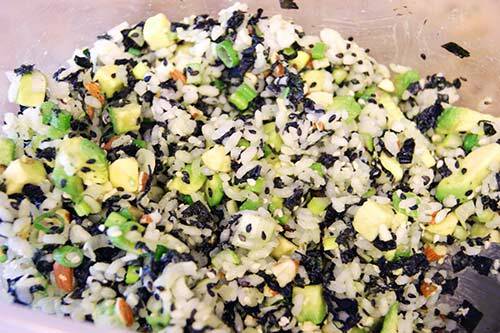 While the rice is cooking cut up your avocado, scallions, nori and crush the almonds. 5. 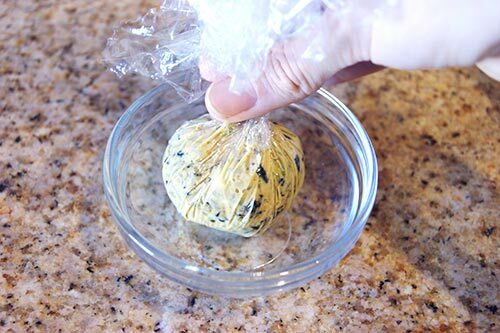 Using plastic wrap and a tiny bowl place a large spoon full of the rice mixture into the plastic wrap and gather all of the sides together and twist to form sushi balls. Your sushi balls look delicious! Thank you Marissa! I love your recipe! Paleo Waffles Homemade Deodorant that works!